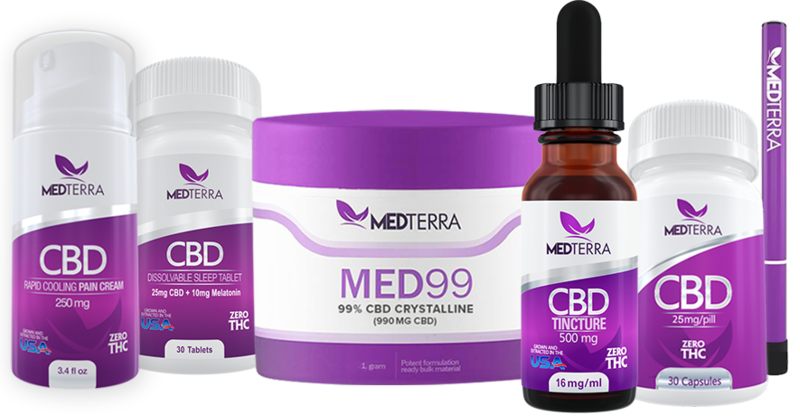 Started by a group of individuals passionate about the power of CBD products, Medterra believes CBD should be available to all those in need at an affordable price. Medterra provides customers with true seed to sale purchases. Our industrial hemp is organically grown and extracted in accordance within the strict guidelines of the Kentucky Department of Agriculture. Each and every product that leaves the facility must be third-party tested to ensure consistency and quality. Medterra is proud to be in partnership with the Hemp Pilot Research Program to be able to provide customers quality CBD products in all 50 states.